The Failure School for companies is the number 1 way to master Design Thinking and Lean Start-Up techniques to drive your business forward. This program is designed to change you. A one or a two day workshop is not enough to change you so we designed a full 30 day program that does. You'll not just learn new skills but apply them on a real project, the work you do will be critiqued and you'll critique other students' work, you'll be on the edge of your comfort zone for the whole 30 days, always pushing and always learning. In this program, as in life, you get out of it what you put in. We meet too many management teams who are able to identify action points but then struggle to take action; too many product managers who create difficult to use products because they never meet customers; and too many customers frustrated with cumbersome processes that haven't been designed with their needs in mind. Often, when implementing innovations, we don't consider the end-to-end impact on customers or employees - How will customers experience this? How will employees react? Who will these decisions effect? - no-one asks the question "How can we actively design a meaningful and effective way of implementing any given innovation?" and we are often afraid to say "I don't know" and afraid to find out the answer by seeking constructive feedback from the people for whom we're designing. 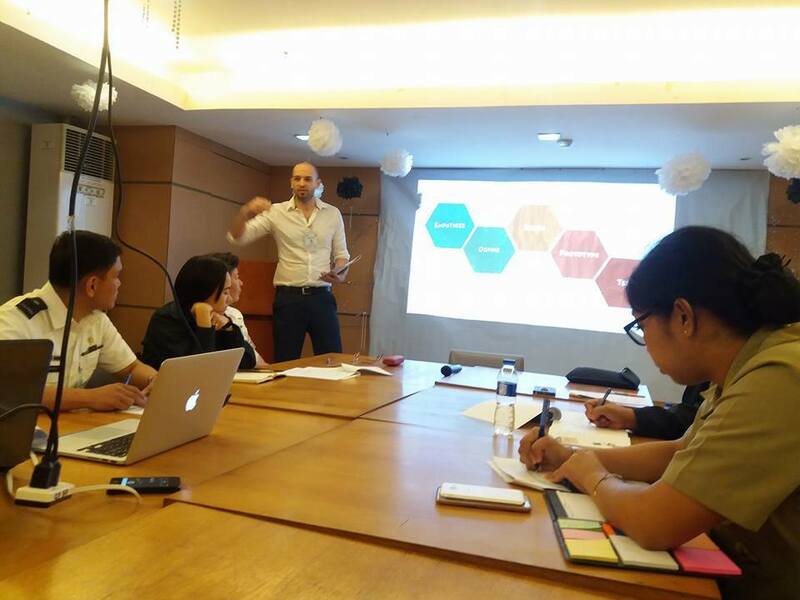 This training exists to bring human-centered design and practical application of Design Thinking to large and small corporates alike. You will embrace the power of Design Thinking and leave the workshop energized with actionable insights leading into the support part of the program in which our coaches guide you while you implement what you learned on a test project in your company or organization. You will understand, learn and apply Design Thinking against your company’s greatest growth, strategy, client, process or employee challenges. 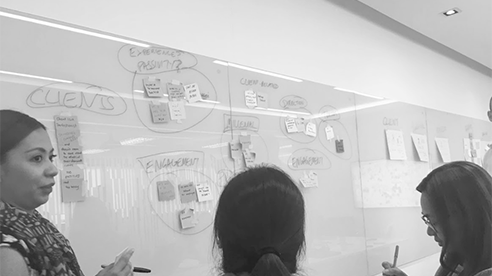 Our expert facilitators guide you through the Design Thinking process beginning with a base of Empathy to Problem Definition to Ideation and all the way up to Prototyping and Testing actual solutions. Identify problems or consequences of non-customer centered product or services. "The experience was great. It will definitely help me understand more about our customers. Thanks for this wonderful day!" "I’ve been working for over 5 years handling customer complaints. Thanks to the work done in this workshop, I discovered things that I didn’t know about our customers." 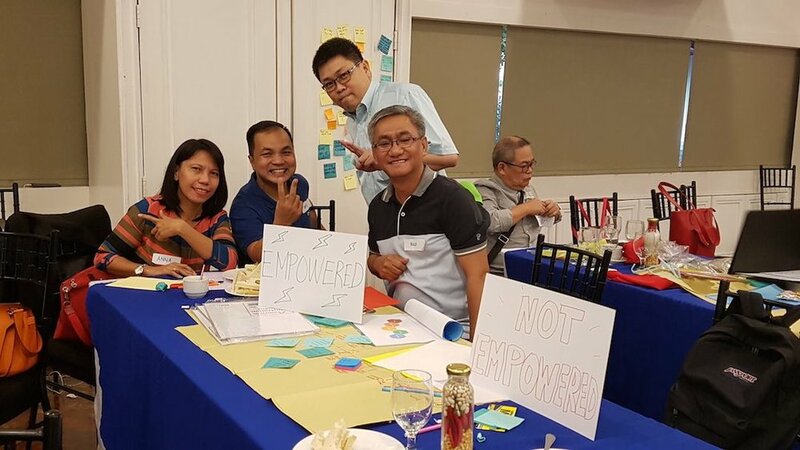 "Phil's program has assisted us through helping us realize the utilization of resources to their full extend and to make our goals achievable. It has also aided us in viewing problems in a different way making them soluble rather than insoluble." *Sold on a first-come, first-served basis. Attendees must also be available for three hours on July 21, July 28, August 4 and August 11. What's with all the failing? Isn't it better to teach people to succeed and emulate successful people? Great question! Actually, by teaching attendees to fail, we are teaching them to emulate successful people. Billionaire Elon Musk says "Failure is an option here. If things are not failing, you’re not innovating enough. ", billionaire JK Rowling says “It is impossible to live without failing at something, unless you live so cautiously that you might as well not have lived at all - in which case, you fail by default." By teaching attendees to become familiar with failure and accept it as part of the learning experience, we ensure that the next project, business or life challenge that comes along you're able to recover from it easily and use it to take the next step towards success. Anyone who's interested to learn how to be more innovative and embrace failure as a growth tool should join. You might be a product manager, a CEO, a start-up or anything else. Would you do a private workshop for my company? Do you offer discounts for large groups of attendees? Should I attend as an individual or a group? Either is fine! As an individual you'll necessarily be interacting with other people from your organization anyway. As a group, you'll have the benefit of having more people to share the work with and you'll be able to do more of it. We keep class size to strictly no more than 20 people with 2 instructors minimum so attendees get as much one-on-one coaching and guidance as needed.